London is the most populace city in the UK and has been a hub of civilisation for two millennia. Such a large urban area will attract many rodent problems. 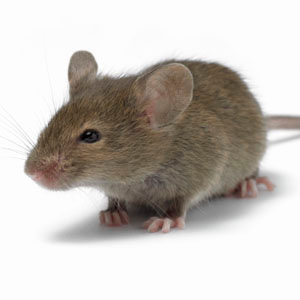 Mice in London are one of the most common pests dealt with by PESTUK. Mice are sporadic feeders, nibbling at many sources of food rather than taking whole meals from any one item of food. They do not need free running water to drink as they will obtain sufficient moisture from their food. However they will eat almost anything. Effective mouse control involves sanitation, mouse proof construction and population reduction. The first two are useful as preventive measures. When a mouse infestation already exists, some form of population reduction is always necessary. Reduction techniques include trapping and poisoning. Trapping will only reduce a mouse population, rarely eliminate it completely as they breed so rapidly. Poison baiting is the quickest way to deal with a mouse infestation. The right type of bait has to be put in the correct places, as mice are territorial and if the baits are not in a mouse’s territory then they won’t take the bait. The baits used by PESTUK are widely recognised as the best for complete eradication of mice infestations. To book an appointment please call us on 0330 100 2811. We are full members of the BPCA, the governing body for all professional pest control companies. Membership is earned not given, companies must show their technicians are fully trained and insured to provide up to date methods of pest control.